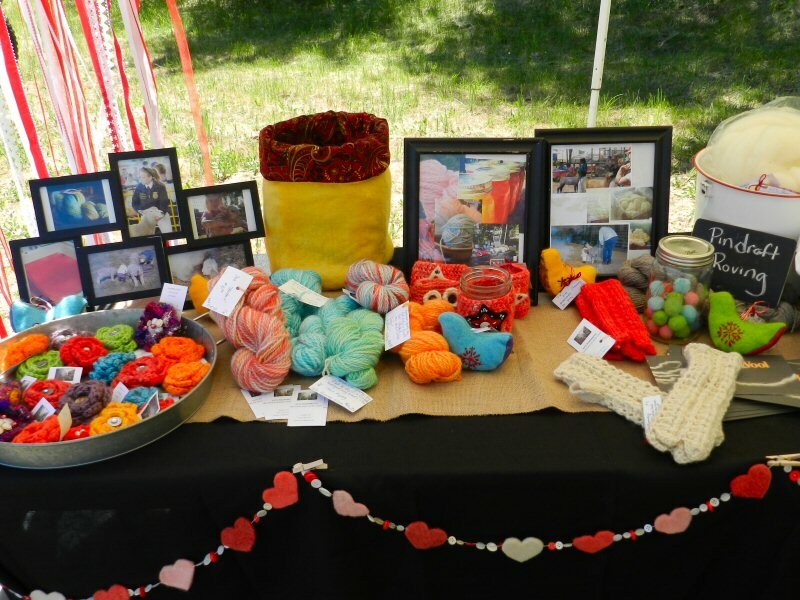 This year’s Rex Club Days, which took place from 10 a.m. to 2 p.m. on Saturday May 27, was awesome! 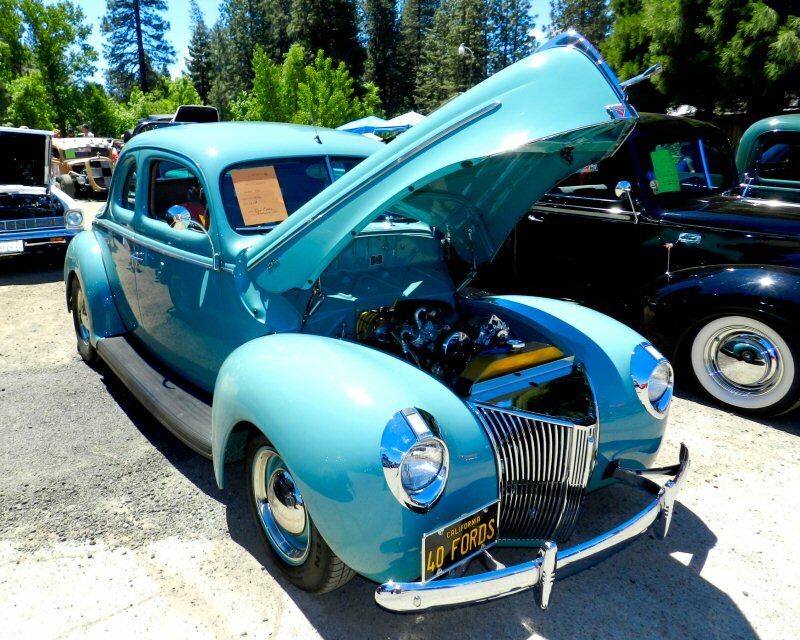 The Mountain Cruisers annual car show drew 64 entrees from Susanvillle and Alturas to the west, the Intermountain area, Redding and Red Bluff, and Santa Rosa and Eureka to the east. 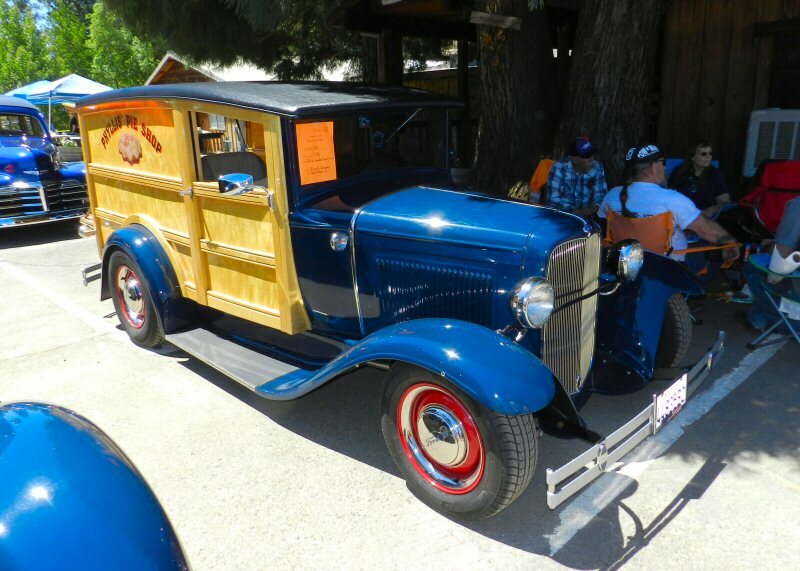 Locals and visitors marveled at the wonderful woodies, terrific old trucks (some with trailers), candy-red classic cars, and other very fine vintage vehicles that filled the lot and the street front. 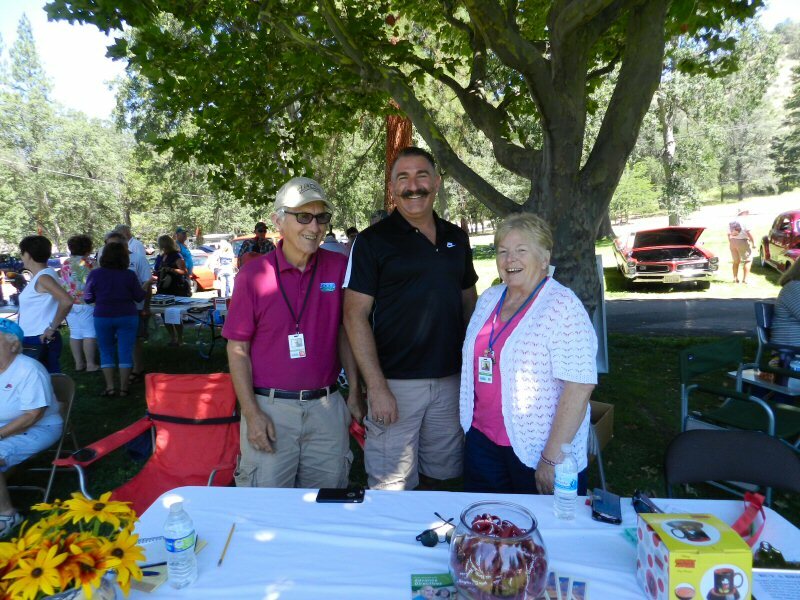 There were numerous booths, delicious refreshments, and lots of prizes and awards. 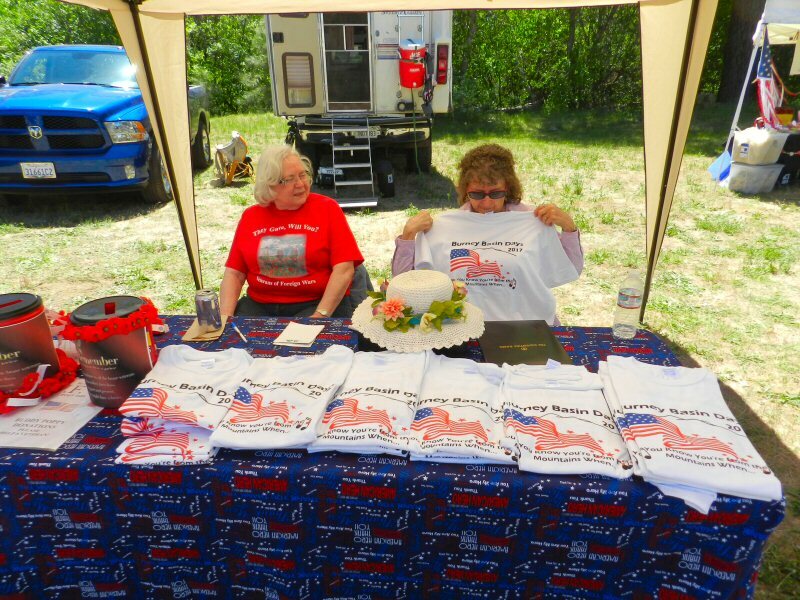 The Burney Chamber of Commerce was there selling T-Shirts for this year’s Burney Basin Days. If you missed getting one they are available at the Chamber Office or from local Chamber members. 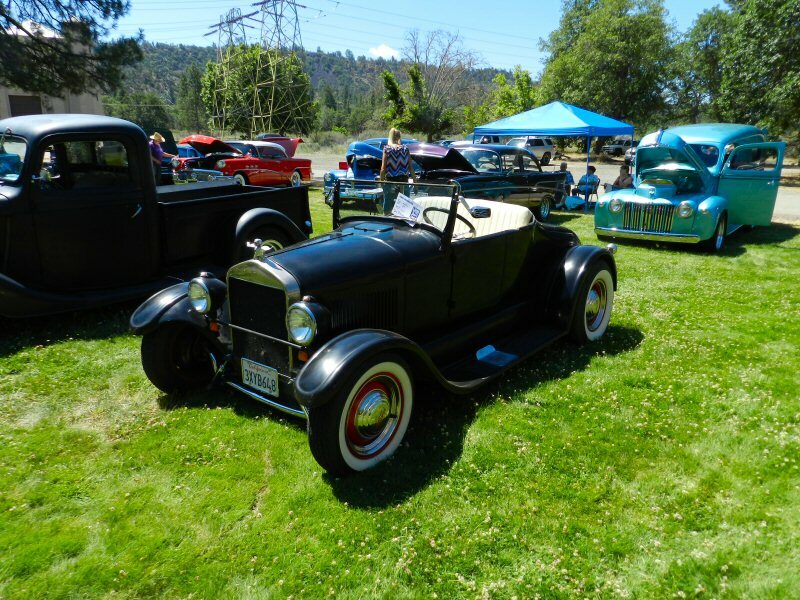 The Mountain Cruisers also graciously invited all of the candidates for 2017 Honorary Mayor of Burney to come to the show to campaign for their charities. 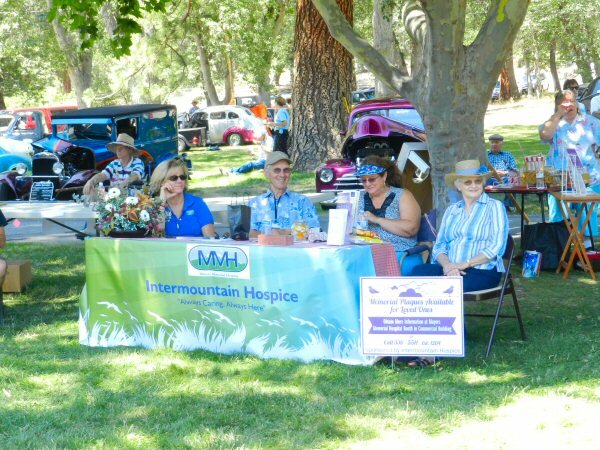 Mary Francis Unterreiner took advantage of the opportunity and spoke briefly from the announcer’s booth about the work the St. Vincent de Paul is doing in the Intermountain Community for the less fortunate. 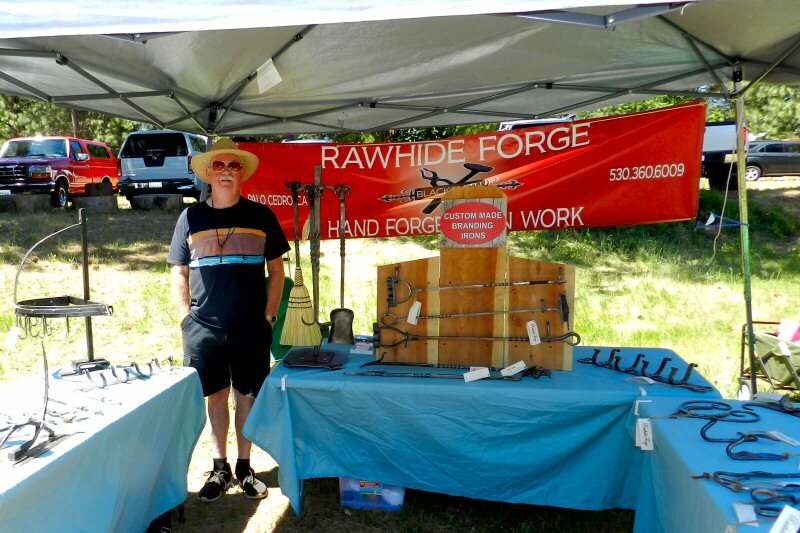 In addition, adjacent to the car show, the Annual Rotary Art and Craft Show organized by Rotary member and potter Andrew Urlie had eight booths featuring hand crafted wood items, soaps, metal work, pottery, survival bracelets, and home-grown wool yarn. There was a lot to take in. It was a beautiful way to spend a beautiful day. There was a steady flow of people throughout the show. 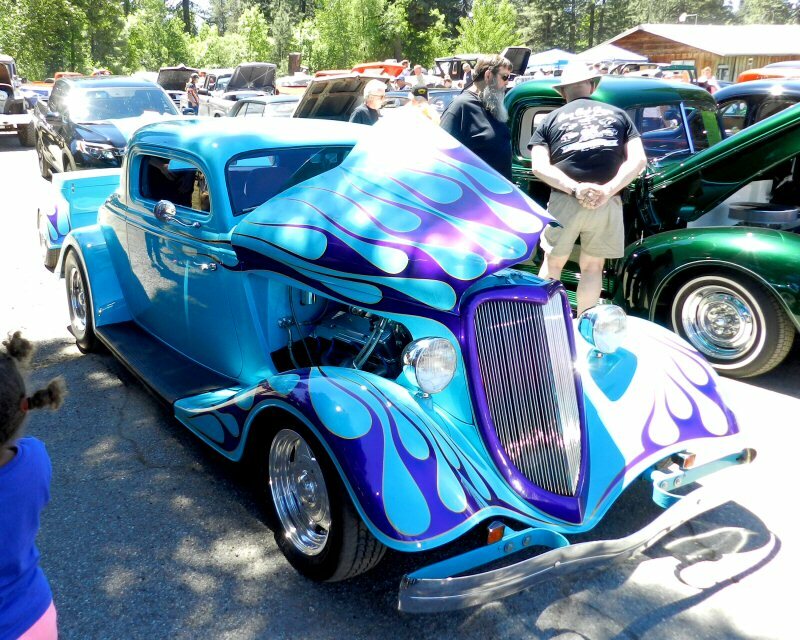 Hundreds of people came to the Mountain Cruisers Car Show at Rex Club Days on Saturday May 28. The event was co-sponsored by the Rex Club and Mt. Burney Coffee Co. 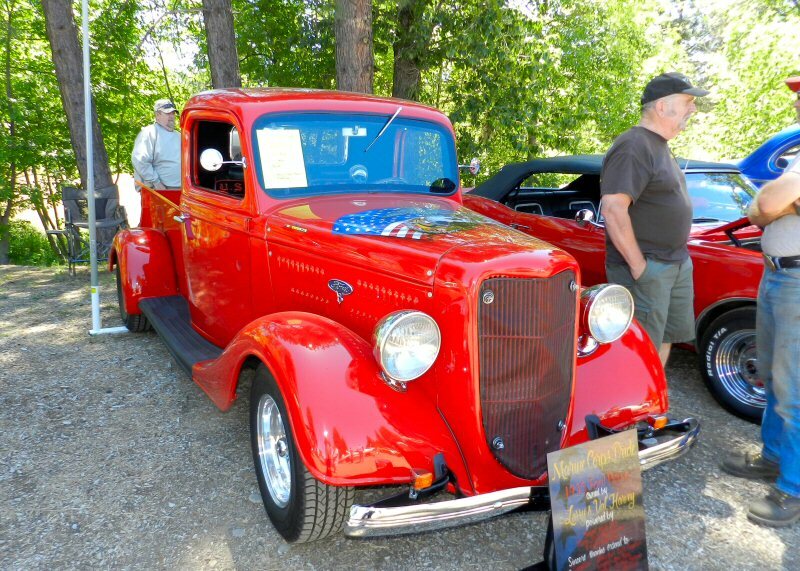 There were plenty of really cool classic cars. 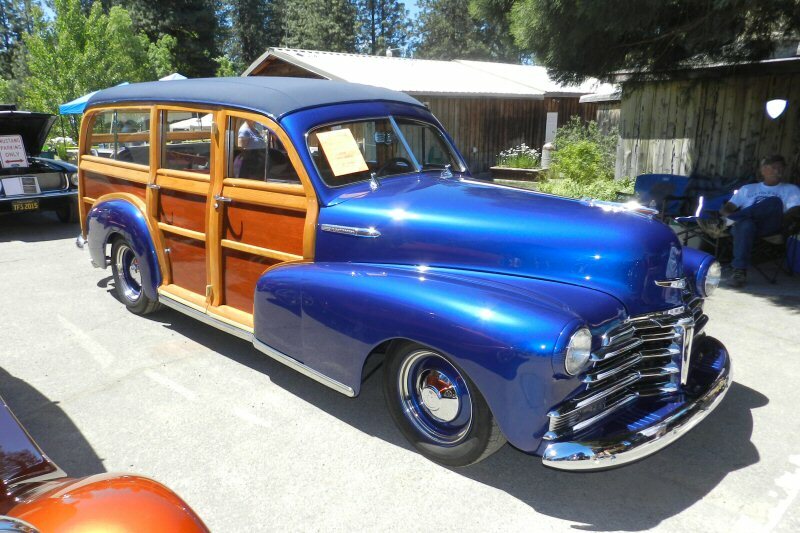 Ron Conley, president of Mountain Cruisers, said that they had 75 entrees. 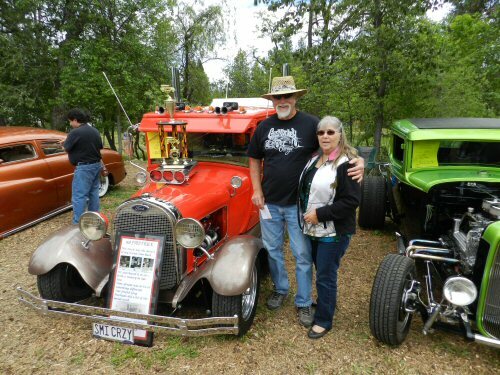 Sandy McCullar said that a dozen car clubs from Northern California and Southern Oregon were represented. People came from as far away as Santa Rosa, Napa, and Cool, California. The show began at 10 a.m. 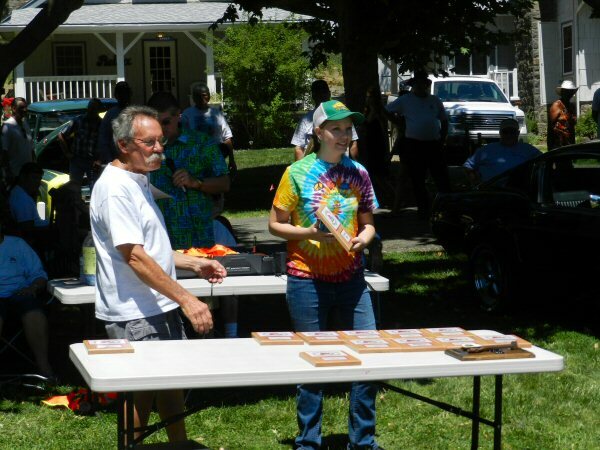 The first seventy-five entrees received goodie bags, a t-shirt and dash plaques. First and second place were awarded in 17 show classes. 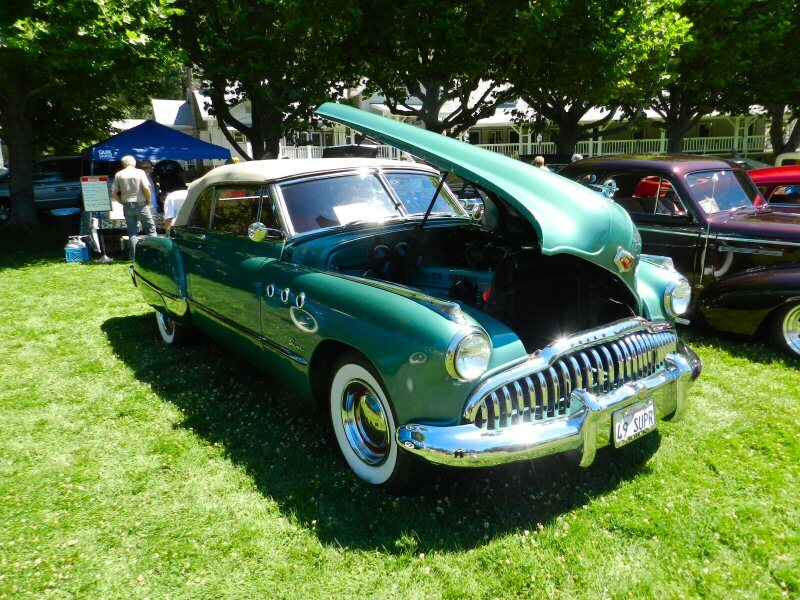 There were also awards for Club Participation and Best of Show. 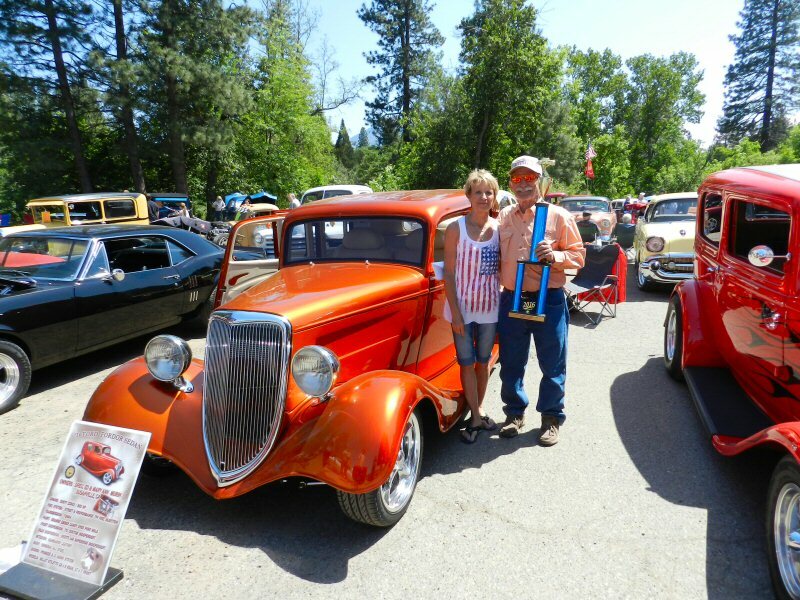 The award for Best of Show went to Dreu, Ed, and Mary Ann Murin from Susanville for their 1934 Ford Fordor Sedan. 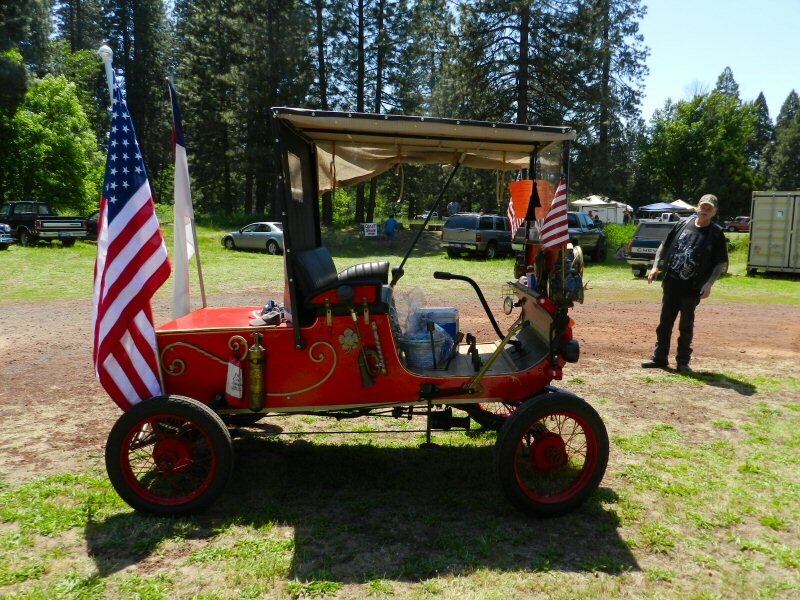 One really amazing piece of history on wheels was this 1901 Oldsmobile that still runs. 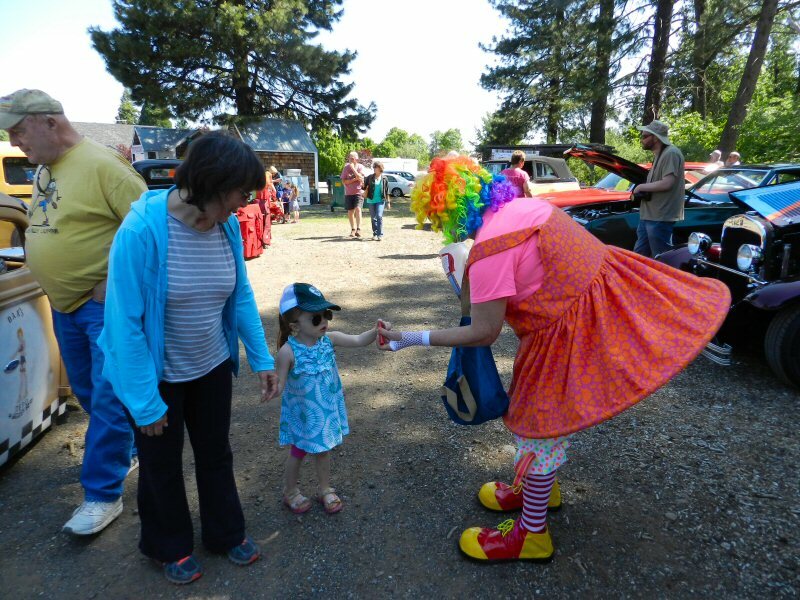 To add to the occasion, Bobo the Clown was there throughout the day giving out whistles. Nancy Bobo is running for honorary Mayor of Burney to raise funds for a new performing arts center. Every town needs a clown! The weather was perfect and it was a really great show. Thanks to all who worked so hard to make it a success! 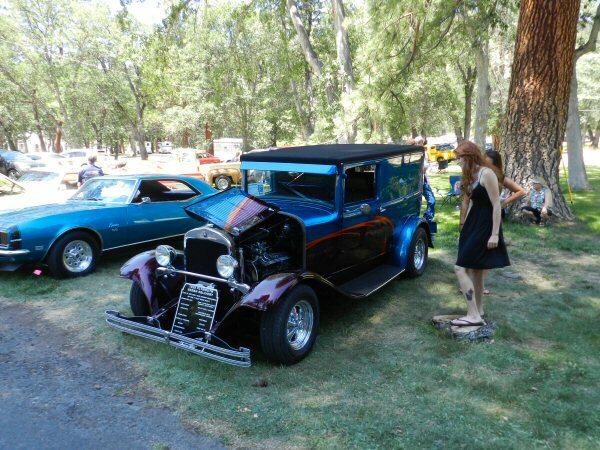 The NorCal Road Gypsies hosted their Summer Show and Shine Car Show at Clearwater Lodge on Sunday July 19th. 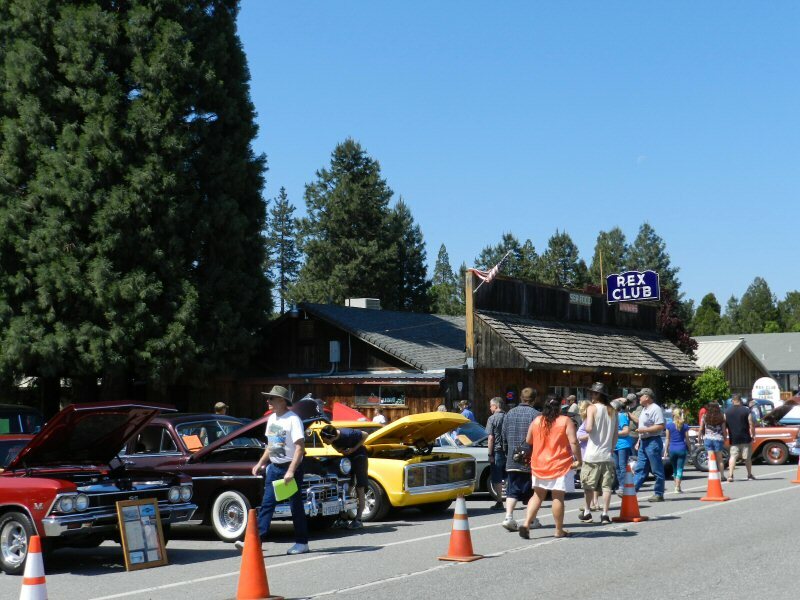 Clearwater Lodge is located at Pit 1 just off Hwy 299 between Burney and Fall River Mills. The show began at 9:30 a.m. 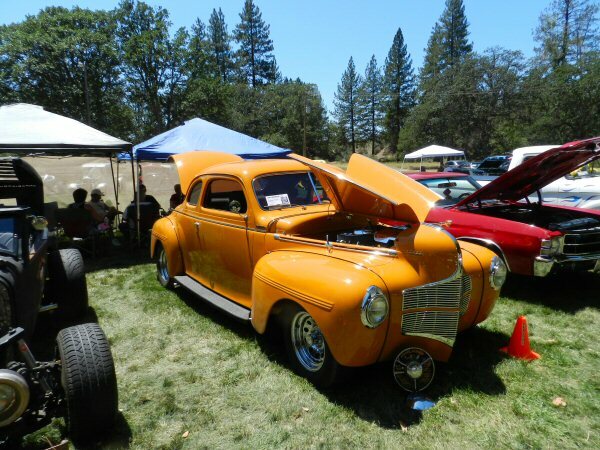 There were 78 entries from Northern California and Southern Oregon, with cars coming from as far as Medford, Alturas, and the Redding area. Before the awards were announced there was a 50/50 raffle. 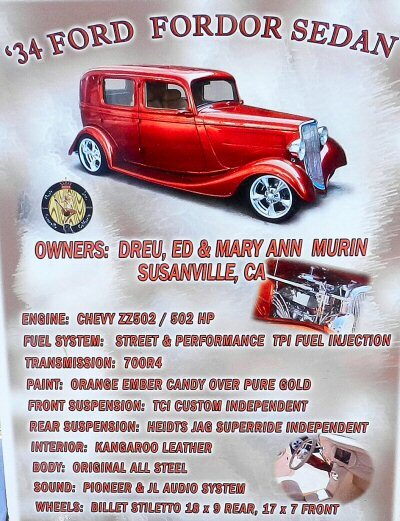 The prize of over $700 was won by Phil Mitsueda, the owner of Phil’s Propellors and Fishing Tackle in Redding. Mitsueda donated most of the money back to the event. 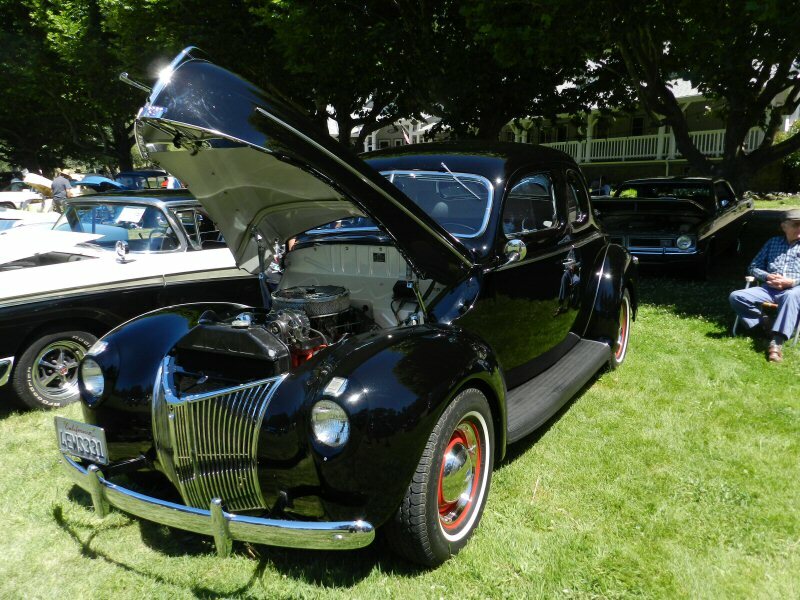 Proceeds from the car show go to Intermountain Hospice of Mayers Memorial Hospital District that serves patients who reside in Round Mountain, Montgomery Creek, Burney, Hat Creek, Cassel, Old Station, Fall River Mills, McArthur, Nubieber, Beiber, Adin, Lookout, Canby, and Big Bend. 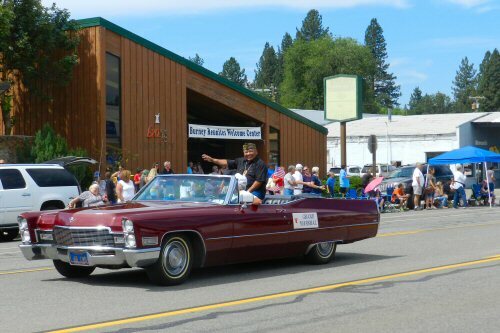 07/07/15 – Burney was buzzing with activity over the 4th of July weekend as it celebrated its 60th Diamond Jubilee. 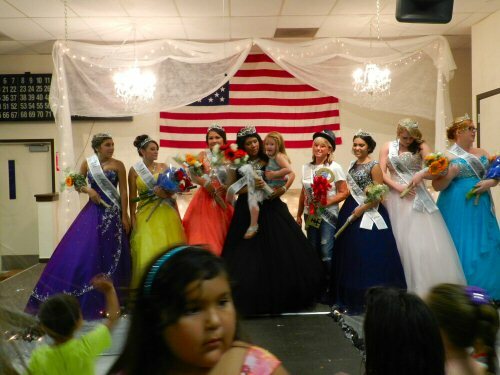 Events kicked off on Thursday evening at the VFW Hall with the Burney Basin Days Queen Pageant. The hall was packed as seven charming young ladies competed. Each contestant gave a speech, answered questions presented by the judges, and modeled in causal, summer, and formal dress. 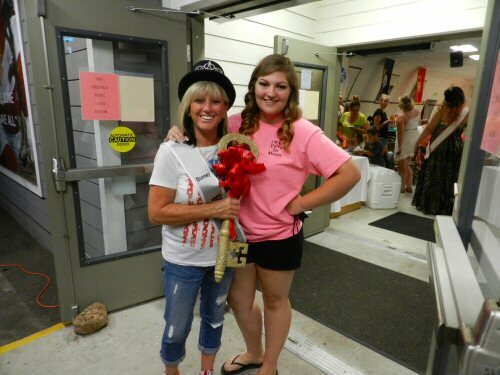 The winner of the race for Honorary Mayor of Burney, Patty Williams, was also introduced at the pageant. Williams raised money for the Hospice program. Kim Stier came in second raising funds for the Senior Nutrition Center. Also running were Linda Colvin, who collected donations for SNIPPP, and Tom Moore, raising funds for Senior Nutrition Center. On Friday, the Burney Reunites Welcome Center opened featuring a display of Burney history and an Art Show by the Intermountain Artists. 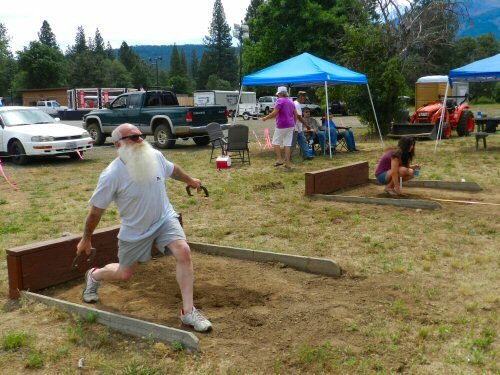 In the evening, there was Tough Man Boxing at the Pit River Casino followed by live music. The Rex Club also sponsored a community social with live music. 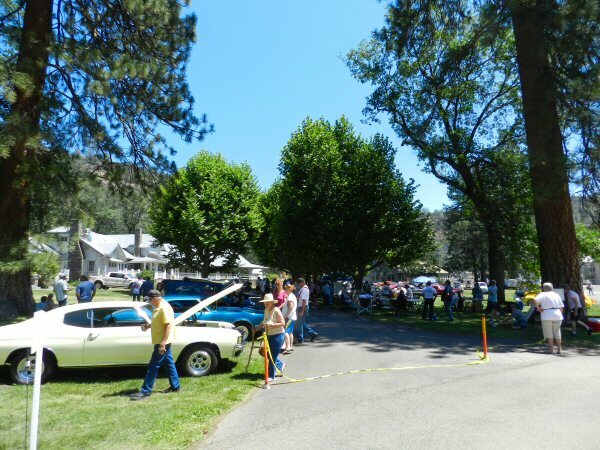 Saturday morning began with a Chuck Wagon Breakfast cooked by the Burney Lions Club and an Arts and Craft Show sponsored by the local Soroptomist Club. 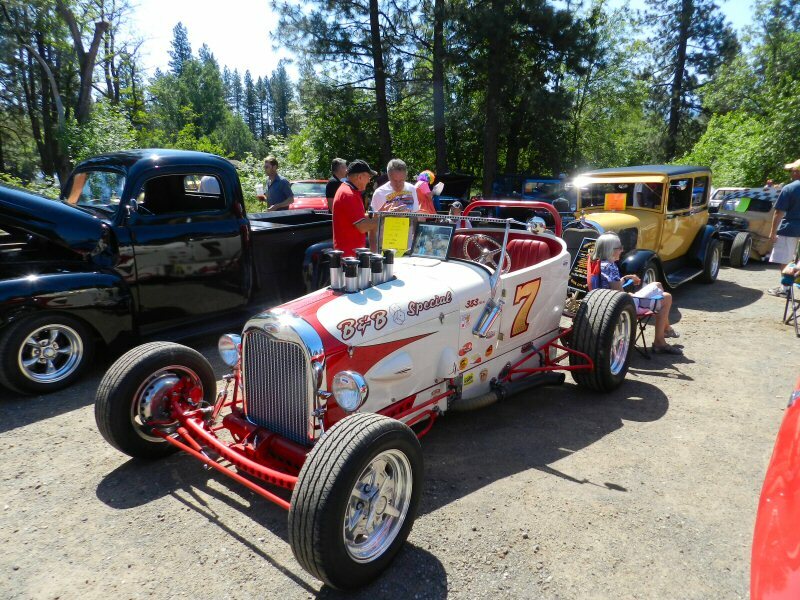 At 10 a.m. Hwy 299 through Burney was closed for the bed races and parades. The bed races began about 10:20. Teams of racers pushed, pedaled and pulled iron beds on wheels that they had constructed. Halfway down the course, they had to stop, get out of bed and jump rope. The competition was spirited and intense, but when the results came in the same bed that had won for the last 6 years won again. 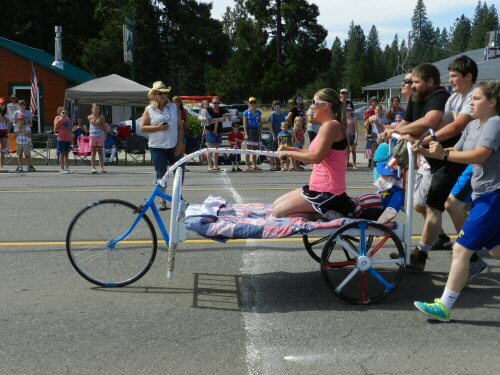 The bed race was organized by Steve and Jennifer Luck of Burney Reunites. 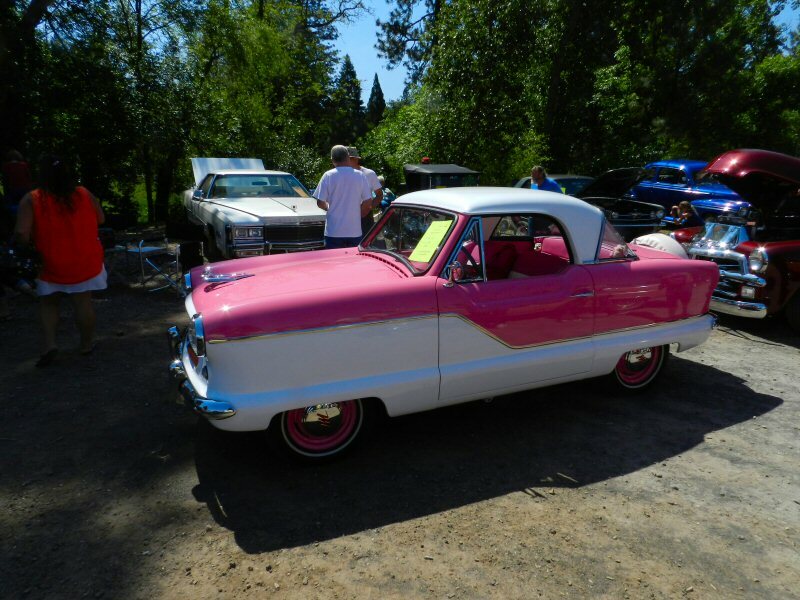 Next came the Kiddie Parade, with youngsters on bikes and toddlers on trikes and wagons racing down the highway to the Alpine Drive-In to be rewarded with an ice cream reward. 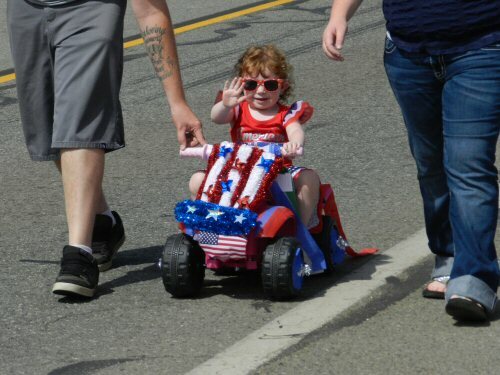 As the toddlers receded, the 60th Annual Burney Basin Days Parade began. Tommy George, an elder of the Pit River Tribe, was the Grand Marshall. 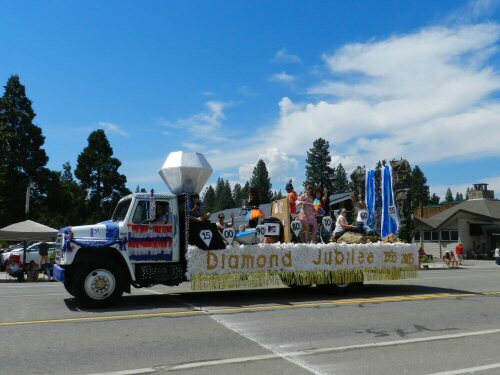 This year’s parade was excellent, with a number of floats celebrating the theme of Diamond Jubilee. The prize for best float went to Burney Reunites for a panoramic display of 60 years of Basin Days history made out of 12,000 stuffed napkins. It took a lot of work to make that float. The parade was a celebration of community. The Jefferson State Bagpipers marched in the parade beating their drums and blowing their pipes. The Queen and her court rode through waving to the crowd from the back of a pick-up. Honorary Mayor Williams walked the parade handing out candy to children. 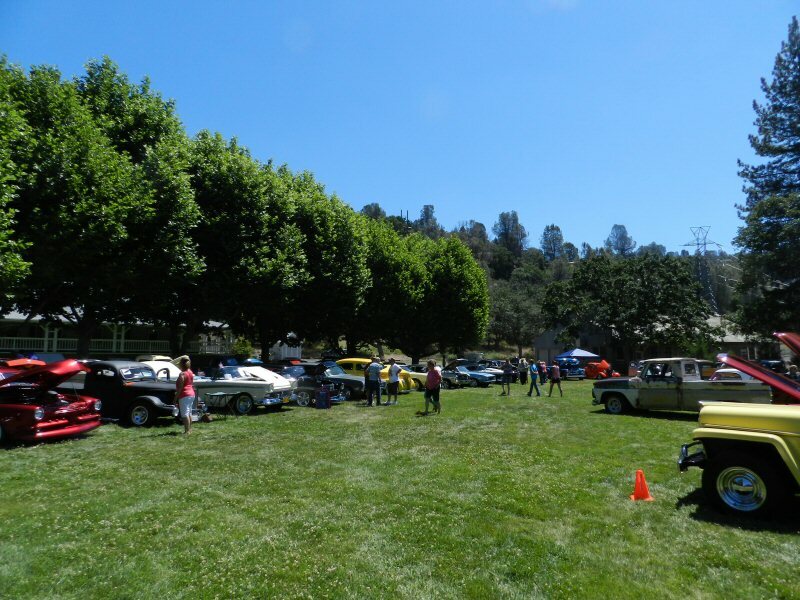 Fire trucks, the Sherriff’s Department, Mayers Memorial Hospital, Citizens Patrol, the Burney 4H, Civil War reenactors, the NorCal Road Gypsies Car Club, several local businesses, and many more took part. The parade ended with a wagonload of Asphalt Cowboys shooting holes through straw hats. 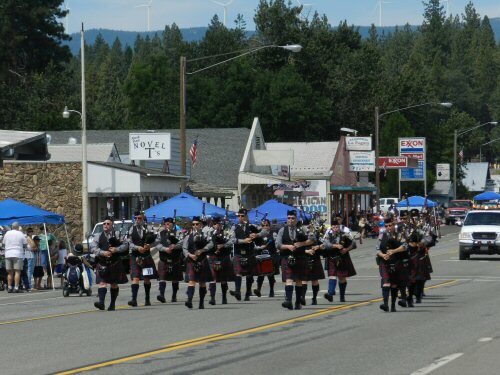 After the parade, festivities continued at the VFW Hall where the bagpipers played a concert while people ate a generous serving of delicious barbecued beef. 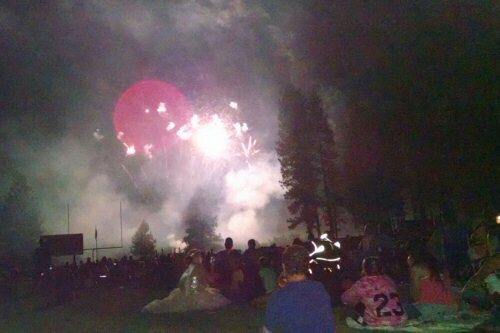 At five o’clock, the gates opened at Burney High School football field for the pre-fireworks show sponsored by The Rotary Club of Burney and Fall River Mills. As the crowd grew, local singers and songwriters entertained the audience with blues, folk, country, and cowboy tunes. 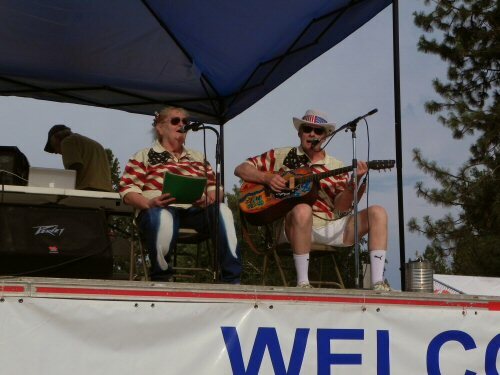 One couple, Marty and Vicky McAbee, wrote a song named “Ring the Bells of Freedom” especially for the event. A highlight of the evening was a demonstration of Native American Music by the Pit River Nation Drum Group. They explained about the large drum they used and the music and then drummed and sang several songs of blessing and honor. 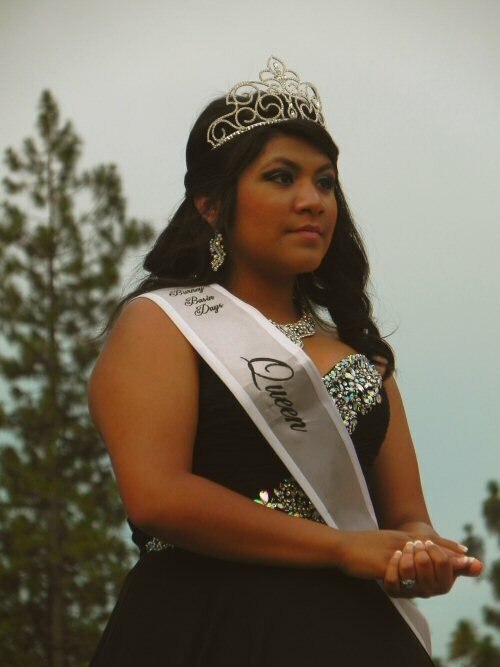 Suddenly Ira Wynn, one of the leaders of the group got an inspiration and called to Crystal Flores, the new Burney Basin Days Queen to organize a circle for a Round Dance. Everyone was invited to join. Led by the Queen and her court, dozens of children and adults, including Mayor Williams and Jill Barnett, the Chairperson of the Burney Basin Days Committee, danced a traditional friendship dance. The New Mayor, Queen, and royalty were introduced, and parade trophies were awarded. Bill Campbell, the MC for the event, roamed the audience interviewing people who had come to attend the 4th of July celebration. 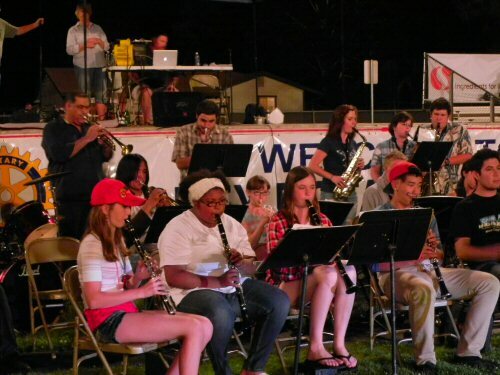 As night began to fall, band students from both Burney and Fall River Mills High School presented a concert of upbeat renditions of popular music under the direction of Hugo Castro, their music teacher. Following the band concert, Campbell introduced Janice Hamlin, a talented local soprano, who led the audience in a sing-along of patriotic songs culminating in her stirring rendition of the Star Spangled Banner. As soon as the music ceased, everyone was treated to a dazzling 25 minute fireworks display. Sunday morning began with another Lions Chuck Wagon breakfast. 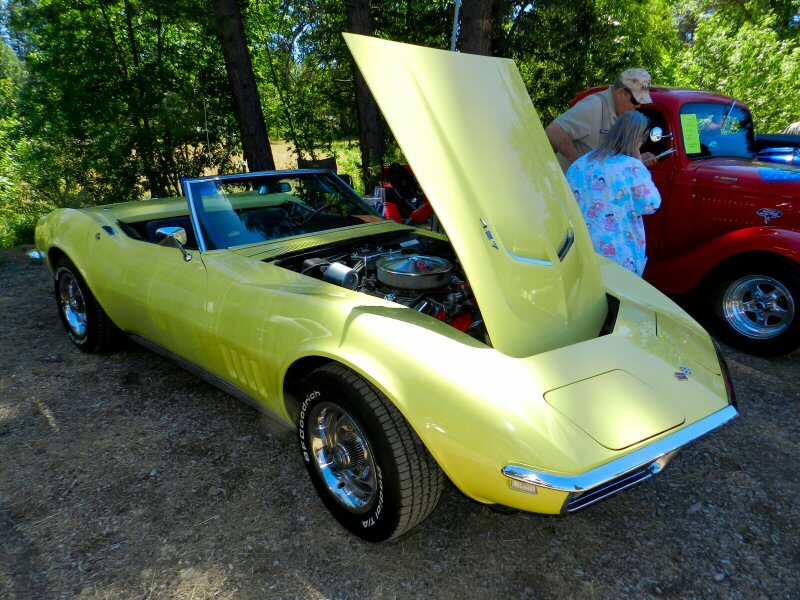 Then activities continued with a lap-a-thon at the Raymond Berry Community Pool, and a car show and horseshoe tournament at the Pit River Casino. 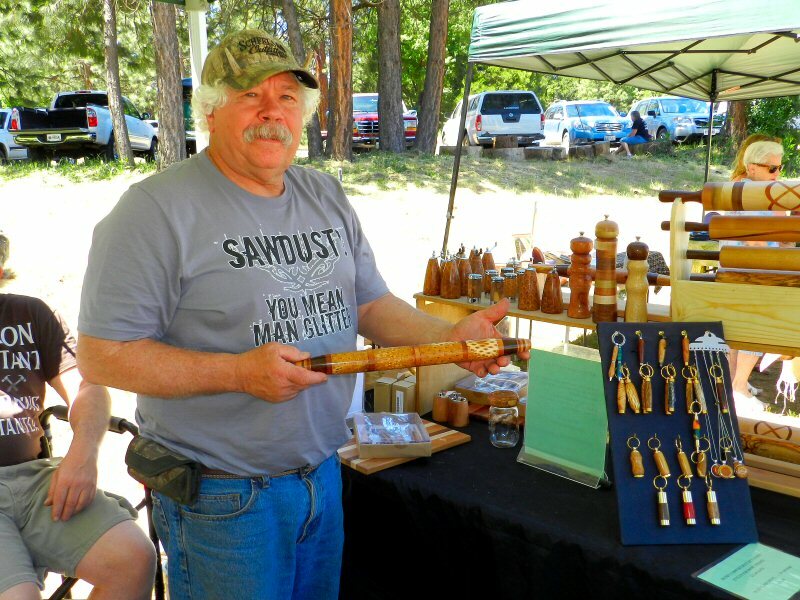 The craft show continued and there was a steady flow of people visiting Burney Reunites Center and viewing the art show. People’s Choice Awards for the art show were announced at 4 p.m. bringing the four day festive celebration to a conclusion. 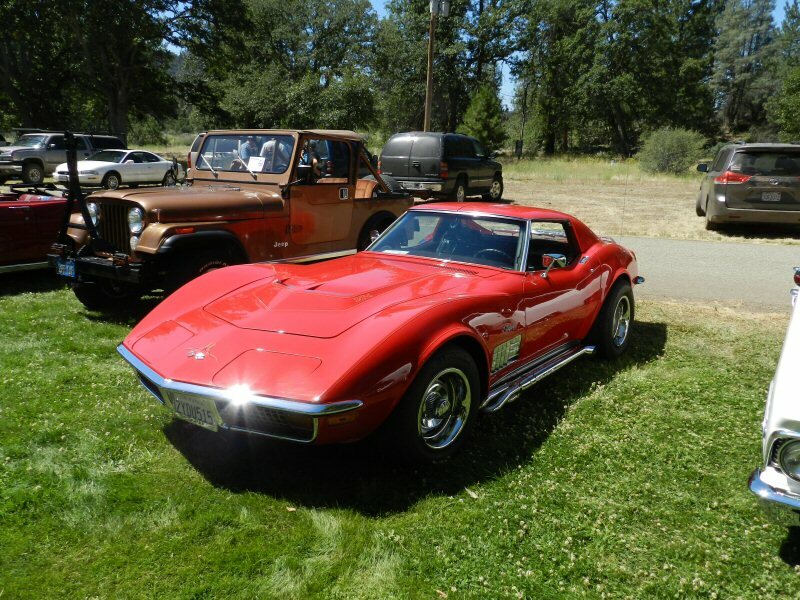 Indeed, it was a happy 4th of July in Burney. 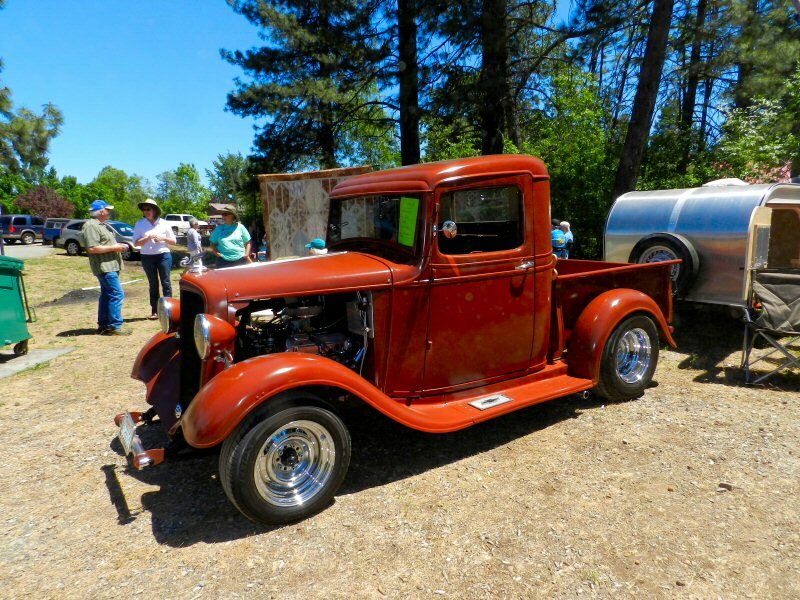 Article and photo by Alex Colvin 5/24/15 — Best of Show Trophy for the Rex Club Days car show hosted by Mountain Cruisers car club of Burney on Saturday, May 23 was awarded to John Abacherli from Round Mountain for his 1928 Ford truck. 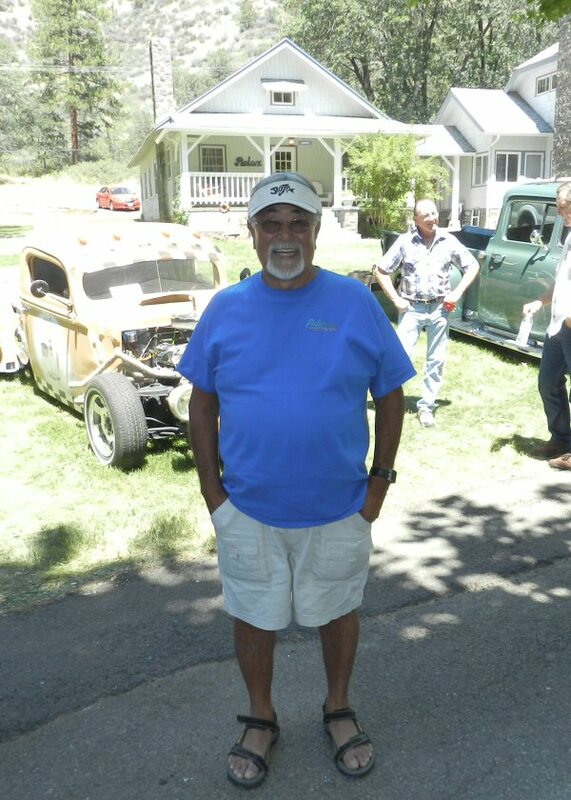 Abacherli said the truck was the dream of his friend Tom Bush, who bought the truck from a winery in San Jose in 1983, but died in 2007 before he could finish the work. 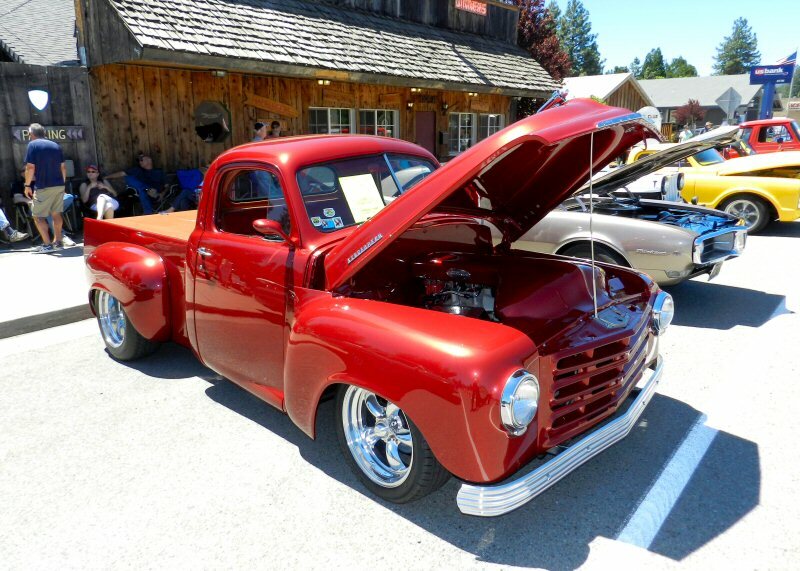 Abacherli bought the truck from Bush’s wife and finished the project. 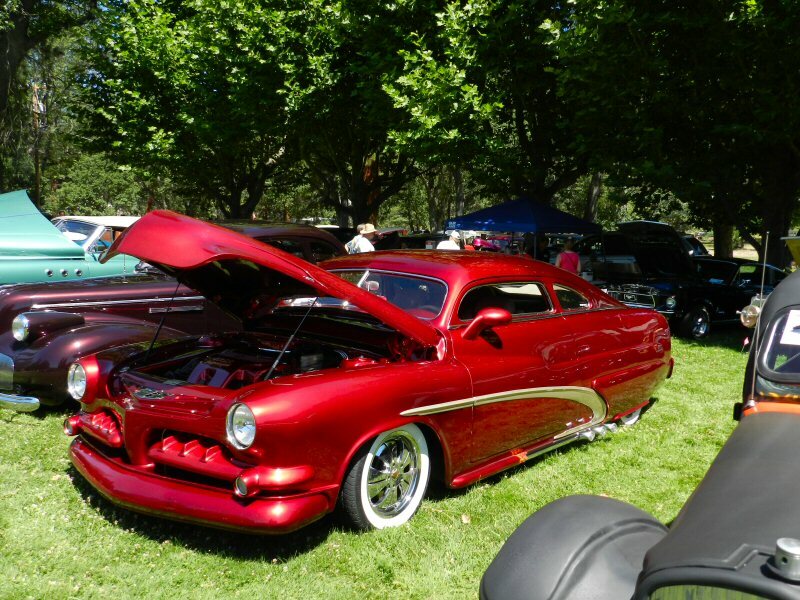 This was the 23rd annual celebration of the Rex Club Days car show. 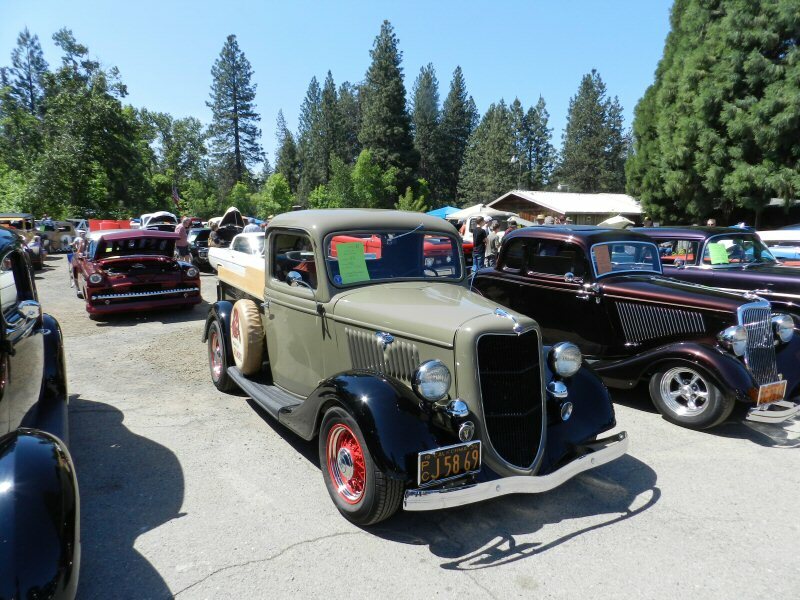 Car clubs and individuals from across Northern California, including the Intermountain Area, Susanville, Redding, and Sonoma and Napa counties, participated. 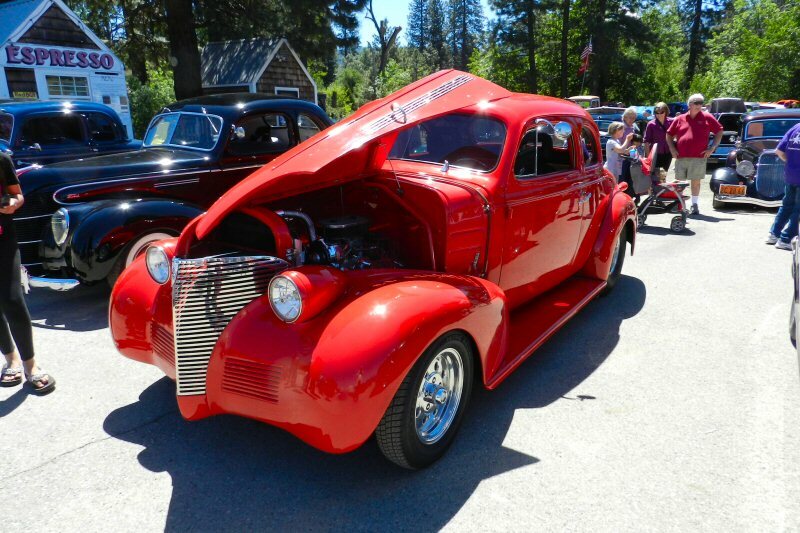 Many Intermountain businesses served as sponsors, and 70 classic vehicles were entered. 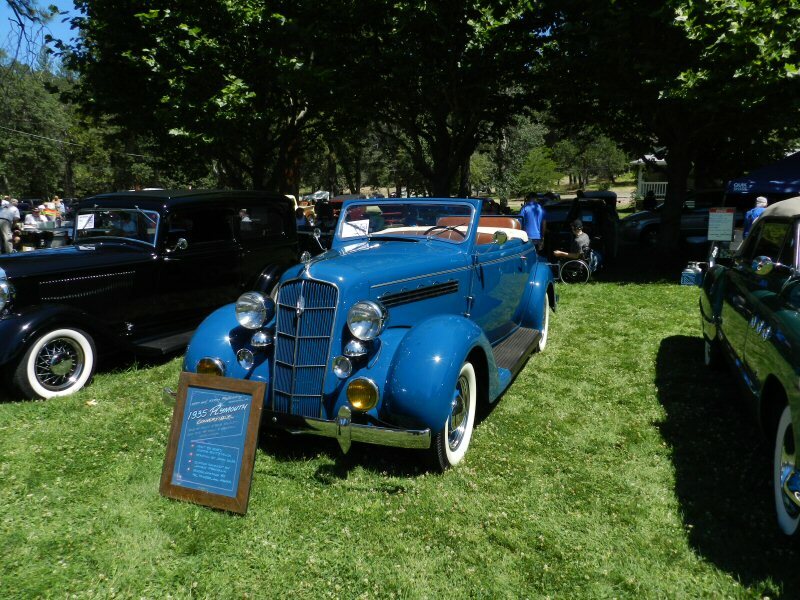 The Early Ford Club of America from Napa and Sonoma had 20 cars in the show. Hundreds of local residents and tourists came to view the show. 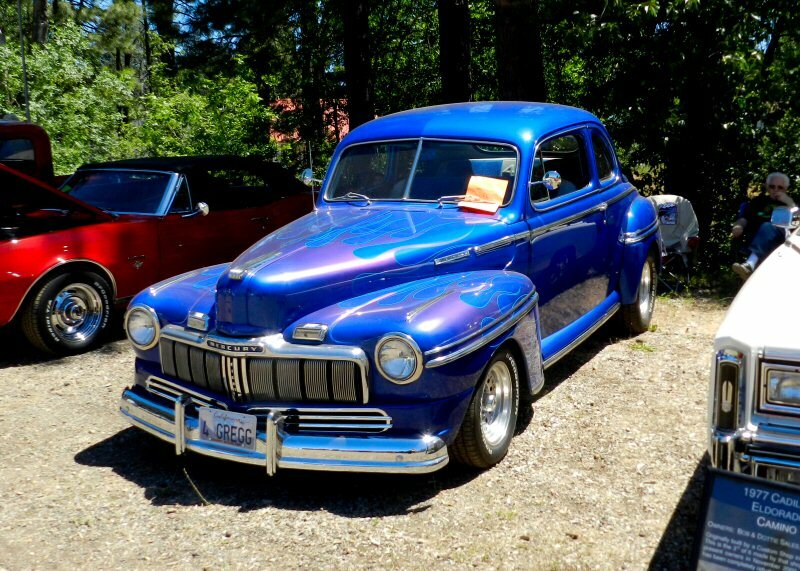 Ron Conley, President of the Mountain Cruisers car club said that proceeds from the event go into a fund to support local charities including the Fall River Hospital, scholarships, Toys for Tots, the Burney library, and the community swimming pool.